About Us Evelyn E. Rogers Ph. 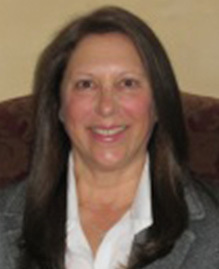 D.
Dr. Rogers received her Ph.D. in psychology from Hofstra University in 1982 and has worked in the field of industrial/organizational psychology for more than 30 years. From 1979-1982, she worked in management research for American Management Association designing research methods, developing survey instruments, preparing statistical analyses and the presentation of results. In 1984, the American Management Association published a research monograph based on her work on performance appraisal. Dr. Rogers has worked for PepsiCo and Young & Rubicam, Inc. in various capacities. At PepsiCo, she served as a manager of Management Development for the succession process and designed career path models for manufacturing, marketing, finance and personnel and technical functions. She has also conducted team building sessions, attitude survey programs and individual assessments.